“What do you get the person who has everything? ?” Whether that discriminating (okay, picky!) person is your mom, your boss, or your sister who says “I don’t need anything!” ethical Christmas gifts that do good for others are sure to be a hit. What is an Ethical Christmas Gift? If you’ve heard the term “fair trade” but aren’t really sure what it means, this article explains why fair trade matters! But, in short, the purpose of fair trade is to promote safe working conditions and fair compensation for workers everywhere. This is especially important for independent artists around the world who rely on the proceeds from their crafts to support their families. Fair Trade organizations like UNICEF Market ensure that workers are never exploited and that they can make a living from their craft. Plus, when you buy fair trade goods from UNICEF Market, you not only stand up for artisans’ rights to safe working conditions and fair wages. You also show you care about children’s rights to health care, nutrition, safe water, education, and protection because proceeds from every purchase support UNICEF’s programs for the world’s most vulnerable children! Who doesn’t want to send that message — especially during the holidays? 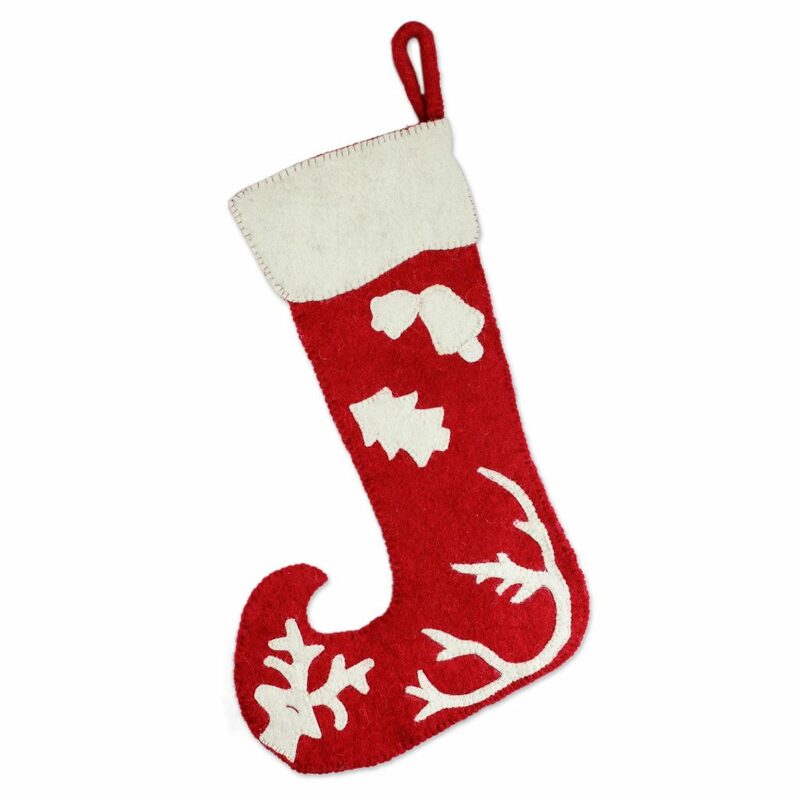 Who are Ethical Christmas Gifts For? No matter what you’re looking for or who you’re shopping for, there’s an ethical gift for you. 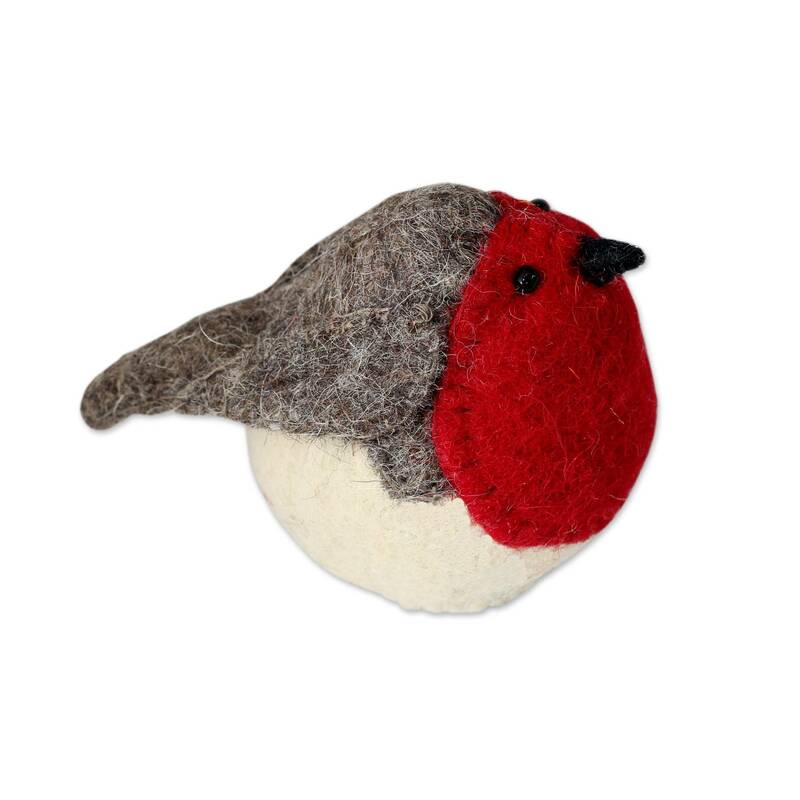 For a unique twist on the traditional star tree-topper, how about this cheery robin! Hand-crafted from 100% wool by Indian artist Rajesh Gehlot, this tree-topper is so life-like, it looks like it could break into song! Not only will this beautiful bird bring joy and cheer to any home, it also supports its creator Rajesh’s work to support his family by hand-crafting unique holiday ornaments, home furnishings, carpets, and wall hangings for customers around the world. These handcrafted ornaments by mother and daughter duo Martha and Margarita will make the hearts of music lovers sing! 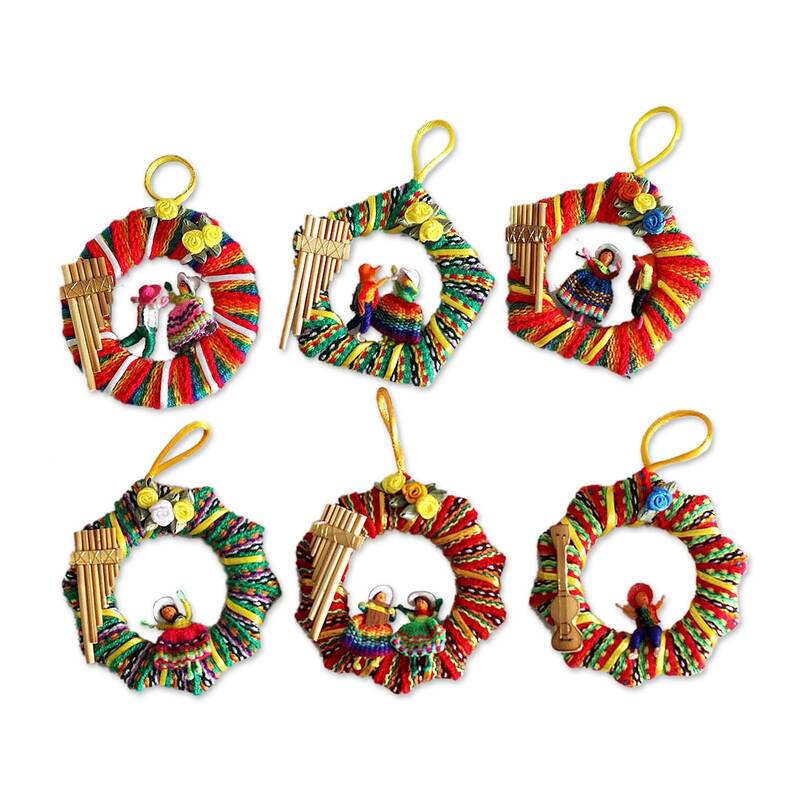 Made from materials native to Peru, these miniature wreathes aren’t just beautiful—they actually sing, too! 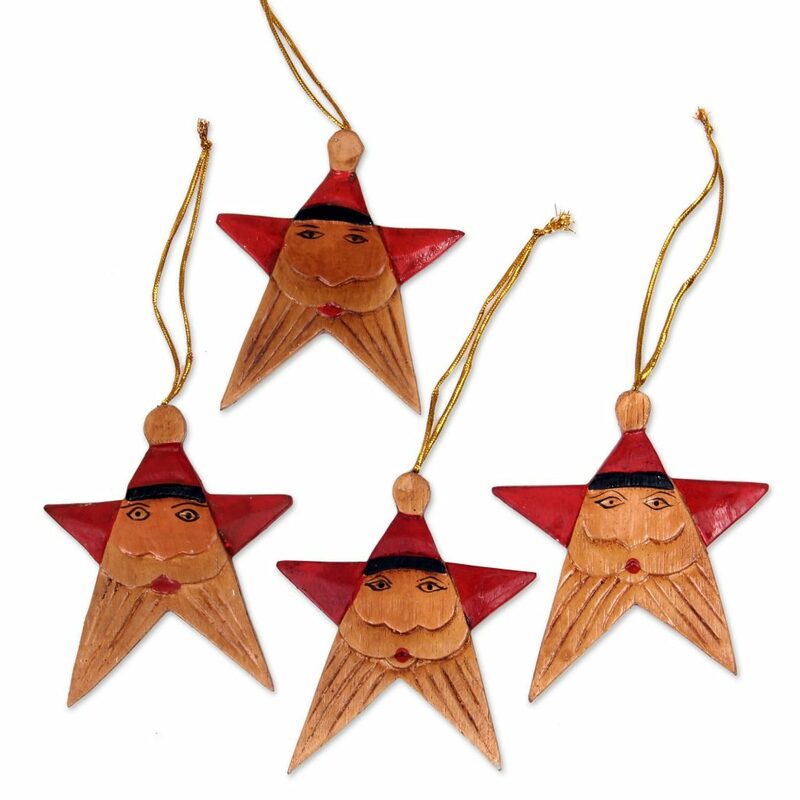 Equipped with little zampoña panpipes, these ornaments will bring the sights and sounds of Peru to your Christmas tree. 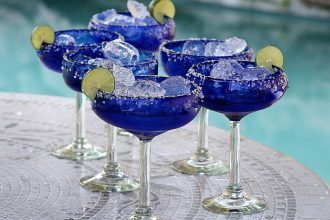 Proceeds from the purchase of each set are also enough to fund 22 packets of lifesaving nutrition for malnourished children. 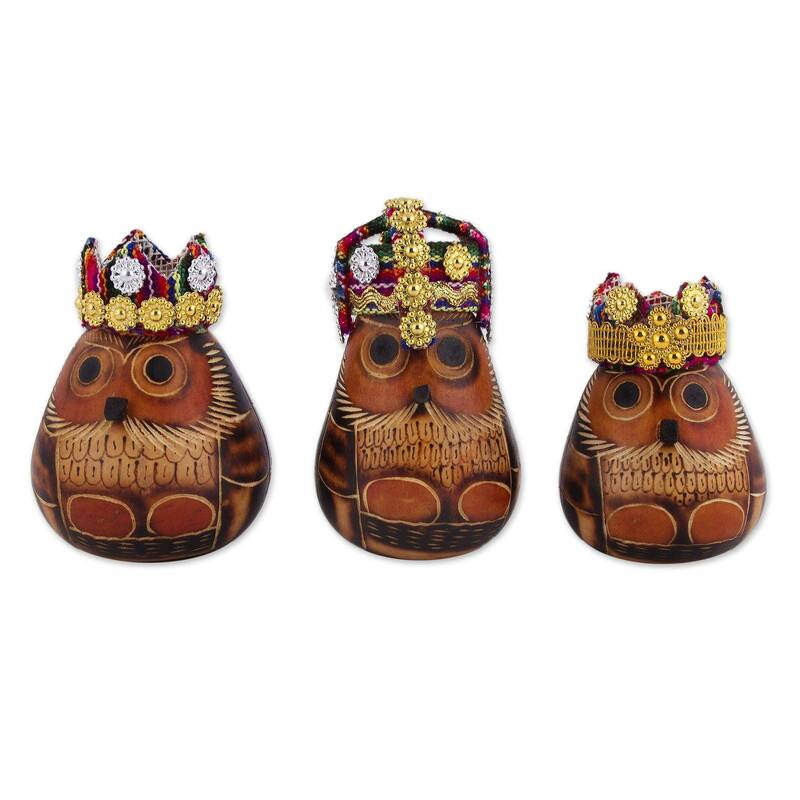 Carved from dried calabash gourds, these adorable owl ornaments offer a charming twist on the classic Christmas tale of the three kings. Artfully crafted by Martha and Margarita, the hand-painted set is certain to bring a smile to anyone on your Christmas list. If you prefer not to give a physical gift and add to someone’s collection of stuff, consider giving a UNICEF Inspired Gift. 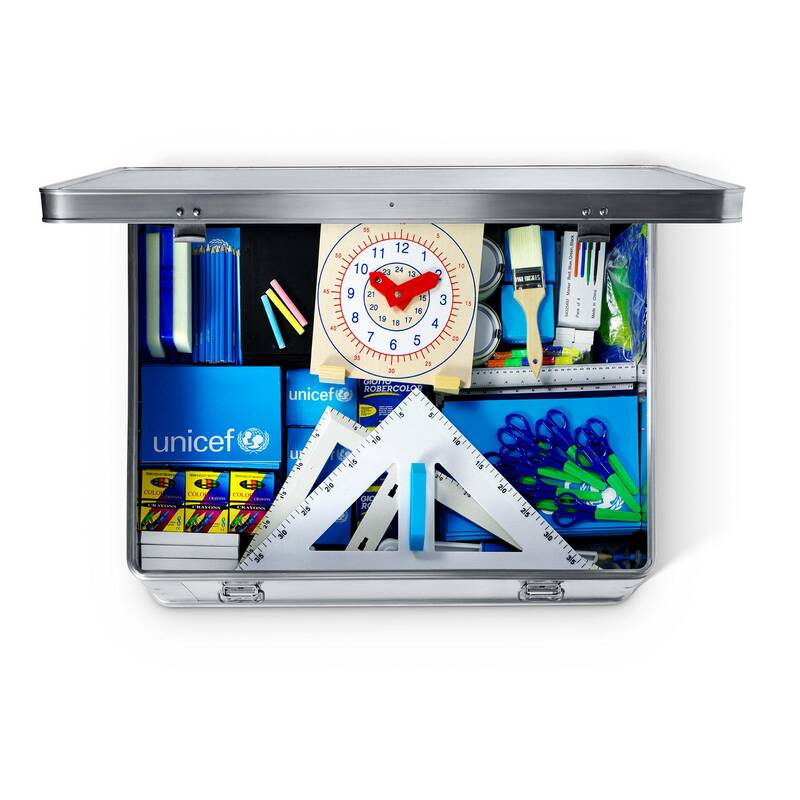 Inspired Gifts, like the School in a Box Kit below, which is designed to keep children learning during emergencies, are actual UNICEF supplies you can dedicate to a friend or loved one. All you have to do is select a gift—anything from medicine to disaster relief to school supplies—provide the name of the person you wish to honor, and UNICEF will ship out the supplies and send your friend or loved one a note to tell them about the difference they are making in the lives of vulnerable children. This year, give the gift of peace—literally! 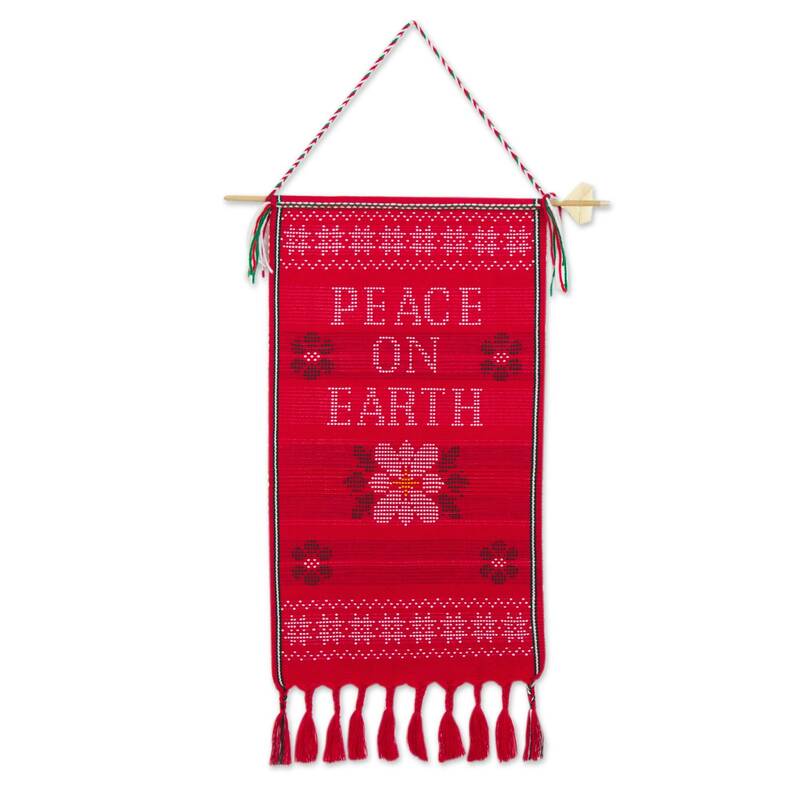 Handwoven by members of the Lahu hill tribe in Thailand, this 100% red cotton wall-hanging is lovingly hand-stitched with a message we can all get behind. 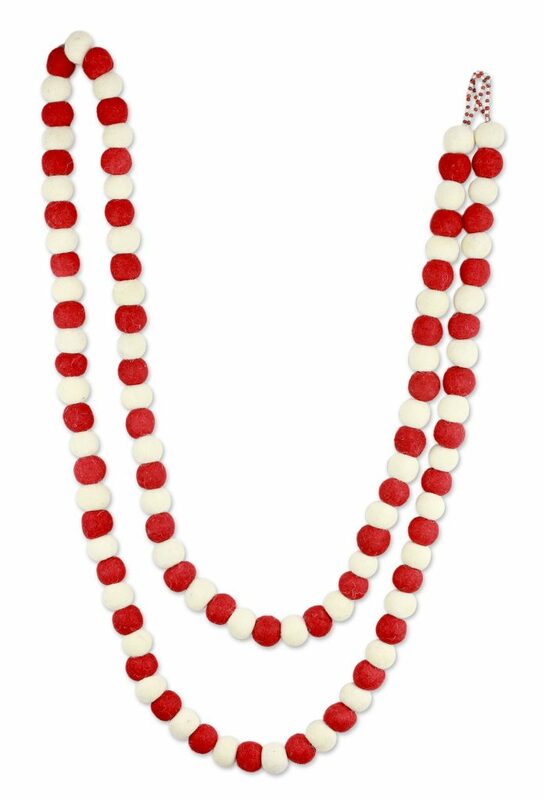 This purchase also helps support the Lahu hill people. Traditionally relying on slash-and-burn agriculture to support their families, the Lahu’s way of life is now threatened by the scarcity of arable land. To earn income, the Lahu have turned to selling their traditional crafts. Support the Lahu tribe—and children around the world— this Christmas!